As timber frame suppliers in Melbourne, we have heard a lot of questions about timber over the years. Chances are that if you’re a builder or contractor, you have too. The end customer is always going to question about the products and materials used and it’s a good idea to be able to provide the information needed. 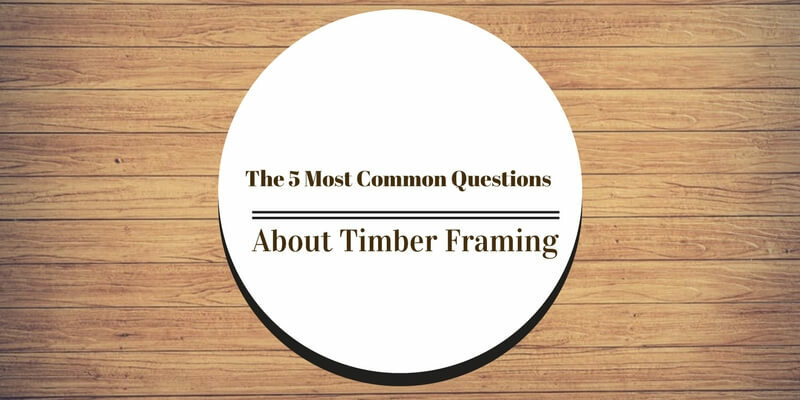 In this article, we’ll discuss a few of the most common queries or questions that people tend to have about timber timber framing. What is built with a timber frame? Timber framing remains preferred and recommended option when it comes to new residential homes, renovations, porches and decks, barns, sheds and some commercial buildings too. For large buildings, structural steel is usually appropriate given that it is light and can be worked with quite quickly when components have been pre-engineering specifically for the job. How much does timber cost per square meter? You might as well ask ‘how long is a piece of string?’ This is a common question that comes up and the best answer is ultimate that it really depends. Obviously, buildings with timber frames are considerably cheaper than the alternative but when determining other timber aspects of the home, it varies greatly from case to case. Design choices will play into this greatly – if the end user is a fan of slate roofing as opposed to cheaper asphalt shingles, the average price per metre is going to skyrocket. Also, remember to consider whether the heated part of the home is factored into the average cost. How long does it take to erect a timber frame? Again, this can depend on the specifics of the job and the builder. Usually, the amount of time needed for a professional can be anywhere from three weeks to a couple of months. Obviously the larger the home, the longer it will take. Weather conditions can also delay the process. An entire family house including the pre-construction period takes around 7 months to build in total, but again this can vary greatly. What are the main advantages of using timber? This question can come up from time to time; while the answer can seem obvious for those that work with timber, some people just aren’t aware of the benefits that come from using timber. For one thing, it’s cheaper than metal framing options. It is also highly malleable and flexible in terms of design, as it is able to be cut quickly onsite. It is easy to produce and remains a renewable energy source. Is hybrid timber frame can be considered as an option? Actually, a hybrid timber frame is a good option if you want to further cut building costs. Timber frames are very economical as we’ve mentioned, but combining with stud framing in certain parts of the house can be even more cost-effective. There is really no ideal proportion that you should be aiming for with hybrid frames, it really comes down your budget and personal preference. Often it’s a good idea to use less expensive building materials in the less public, hidden parts of the home such as bedrooms, etc.